It is interesting that Midnight Special is in cinemas at the same time as Batman v Superman because there are some interesting parallels between the two movies. Both centre around an apparent alien and people’s reactions to them, with some worshiping him and others seeing him as a dangerous weapon. Both films also tell their stories with a great reliance on visuals but where this is the failing of one, it is one of the strengths of the other. With Zack Snyder’s turgid superhero team up the framing and composition are required to make up for the film’s inadequacies in character development and narrative. It is a heavy burden they cannot carry. In Midnight Special though, the plot is more simple and everyone’s motivations a lot clearer so when it comes to the denouement director Jeff Nichols can just show us what is going on rather than having to tell us. There is no complicated resolution to explain so the images tell us everything we need. This doesn’t mean there is no ambiguity but that is fine because any questions the audience have are shared by those on screen and the uncertainty is part of the tale. Midnight Special is one of those films that hangs on its conclusion. Everything that happens before this point is build up and its worth depends on a satisfactory ending. This is another area in which Batman v Superman fails and another thing this movie gets right. For obvious reasons that is the last I will say about the closing minutes but know that it is good. The set up in the rest of the movie has a young boy abducted/rescued from a religious commune by his father. This cult has grown up around the kid’s abilities which initially extend to him blasting light from his eyes and causing localised earthquakes. Anyone who gets caught in the laser show seems to be shown great truths though and they believe the child to be of God. Needless to say the FBI think there is something else going on. His father, on the other hand, seems untroubled by the details of the situation. He knows two things and this is all he needs to act on. The first is that he loves his son unconditionally and the second is that the youngster has somewhere he needs to be at a certain time. What this gives us beyond the fairly familiar science fiction premise (the film is reminiscent of Close Encounters of the Third Kind and Disney’s Witch Mountain movies) is a story of a family. Michael Shannon is good (a lot better than he is as a corpse in Batman v Superman) as a Dad who will do anything to protect his child and pretty soon Kirsten Dunst as Mum gets involved too. It isn’t easy to see these two as a couple but they do convince as parents unconditionally committed to doing what is best for their child. Ten year old Jaeden Lieberher gives an under played but strong performance as a boy with power and knowledge beyond comprehension who is struggling to work out where and how he fits in the world. This is how I read it anyway, when I see him finding solace in, wouldn’t you know it, Superman comics. Different people may interpret things differently which is another plus with a film that is not burdened with exposition or the need for concrete definition. Midnight Special is slow in places and isn’t a particularly mainstream movie, certainly not in the way the trailer suggests, but it doesn’t feel like an arty little independent either. What it is is sophisticated film making made without compromise to wide audience appeal. This doesn’t always work for everyone but it is to be celebrated as too many movies trip over themselves trying to appeal to the masses. One such film on release at the moment springs to mind. If you enjoy thoughtful sci-fi that has more important things to share with its audience than flashy special effects and new spins on old characters then Midnight Special is a film for you. If you’re after something a lot less demanding then by all means fill up with popcorn and head into Screen 1. There are no wonder women in this film but there is a determined loving mother and that’s a good representation of femininity. She isn’t in the film as much as other characters but she doesn’t seem marginalised. She is the only female in the principal cast though which highlights another way in which films fail to recognise equality. There are a number of parts in the film that could easily have been female. The leader of the cult, played by Sam Shepard, needs to be male as he presents an interesting opposition to Michael Shannon. Shannon is aided in his protection of his son by Joel Edgerton’s Lucas who works as a male character too. Adam Driver features as an expert working with the FBI and while he is one of the best characters, he doesn’t need to be a he. The boy could be a girl too. 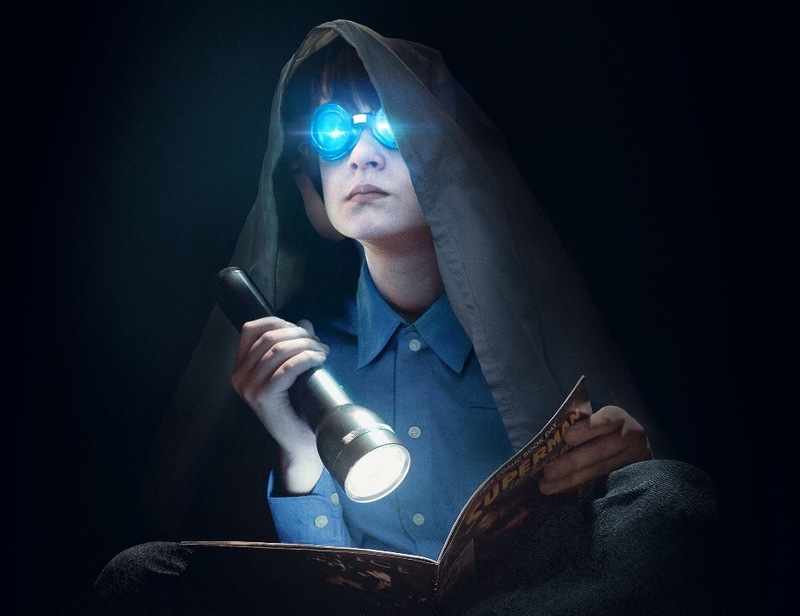 Midnight Special is rated 12A as some of the scenes where the kids bursts light out of his head and hands are a little intense but the violence is not at all extreme. There is no sexiness or naughty words either.